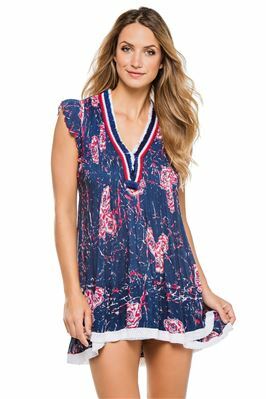 Sasha mini dress with fringe v-neck, pleating and flowy silhouette. By Deepa Gurnani. 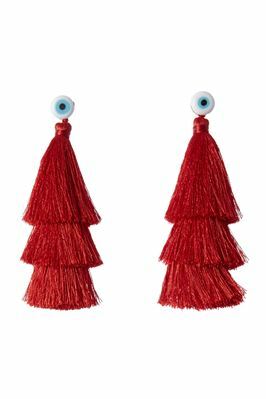 Handmade layered tassel earrings with evil eye. 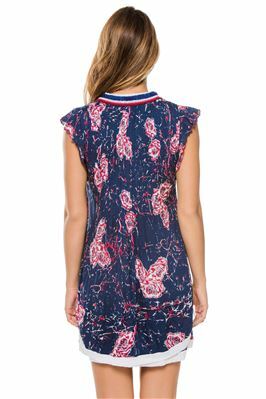 By Cara Couture. 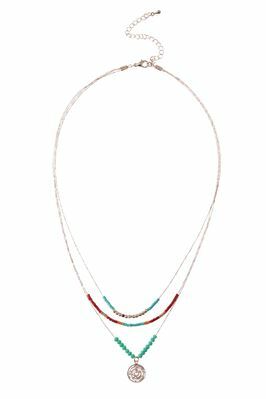 Layered necklace with beading on delicate chains and metallic charm. Offers adjustable length. By Martell Studio. 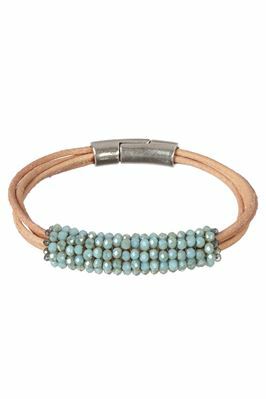 Multi strand leather bracelet featuring aqua blue crystal beads and a 5 mm silver clasp. By Martell Studio. 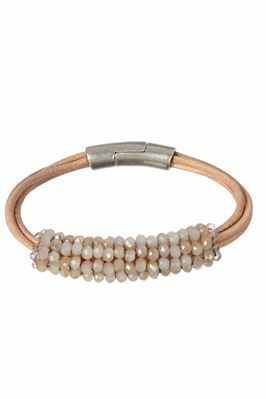 Multi strand leather bracelet featuring blush crystal beads and a 5 mm silver clasp. 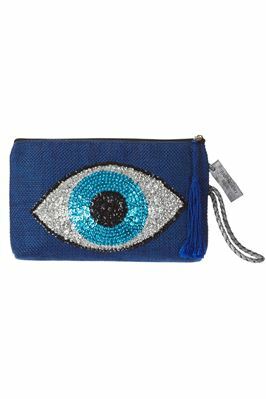 Handmade canvas clutch with sequin evil eye. 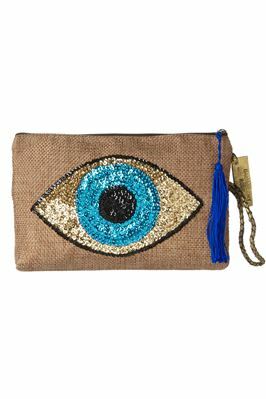 Features leather strap, print interior with pocket, and tassel zip closure.